We at Webtron use many different interfaces and technology to suit our clients needs, but one of the main systems we use for our web design in 2014 is WordPress. Not only us, but we join nearly 25% of the entire internet in creating websites on a WordPress platform. That’s 72.4 million people as of March, 2012! Other CMS systems Webtron utilises are Magento, as well as other Ecommerce platforms depending on our clients requirements. So, why do we use WordPress? To understand that, we must look at some of the history behind how it came to be, and why it became so popular so fast. Before the days of Content Management Systems (otherwise known as CMS), editing websites was a cumbersome job for most customers. It was better left in the hands of developers. This was because developers knew their way around the different coding languages necessary to code websites, and thus, making updates. CMS systems changed all that, however, with their ease of use and slashing the cost of website development. Now, people outside of the Web Development field now had the tools to update their websites on their own, since CMS systems allow users to log into the website, and are greeted with a very user-friendly interface that easily allows anyone, from executives to marketing, to update the website. Thinking of everything on the internet just like a blog. Blogging was becoming a popular way to share opinions and thoughts back in early 2000, and there became a market need to have a system that anyone could update without the need of a skilled Web Developer. Thus, the predecessor of WordPress was created, which was known as ‘b2’ or ‘cafelog’. During the same year, due to b2’s success, WordPress was developed and released as a free download to work with any MySQL database, a type of database that, at the time, was rather common to use. Due to this move, and because of the time efficiency that came with using the software, administration in businesses were able to change their websites quickly and efficiently. 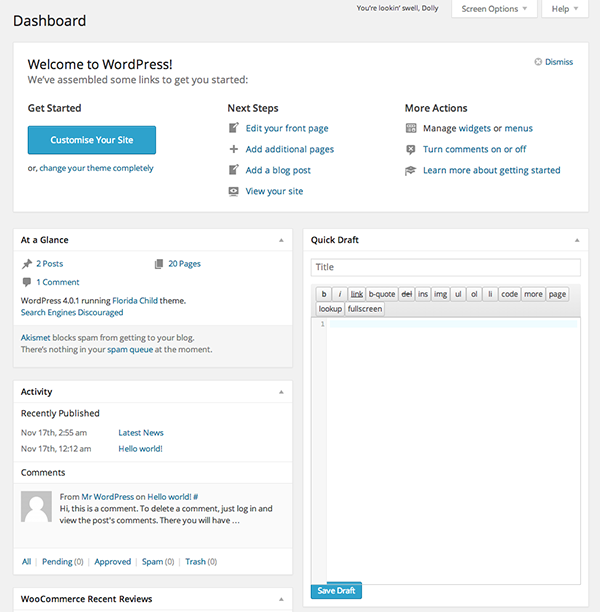 WordPress was somewhat unique at the time for being ‘open source’, which meant that independent developers could create applications and themes for the blogging platform to add to it. This meant that anyone who wanted to create something unique for their site, could do as much, and also share it publicly for others to use. WordPress runs on a coding language called PHP, using a MySQL database. Most ISP’s, or internet service providers, allow each of their users to use at least one database on the smallest internet package. Even more impressive is that it has become so popular that most ISP’s will even offer to install it onto your database for you! There are some plugins that have become a must-add to the experience. Plugins are very popular because they save both time and money in custom coding expenses. Instead of a developer creating a custom application, chances are, there will be a plugin available already! Akismet – A checker for blog comments to erase spam messages. SEO by Yoast – The best application to add SEO (Search Engine Optimisation) to your website. Contact Form 7 – An upgraded contact form for websites. Google XML Sitemaps – A great way to index your blog for search engines to find your site. Jetpack – Streamlines and adds a variety of great features. Wordfence Security – Makes your site more secure. 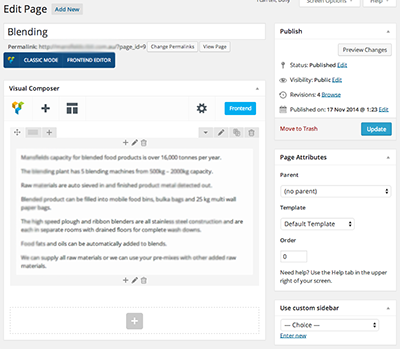 Google Analytics by Yoast – Adds Google Analytics tracking to all pages. NextGEN Gallery – Upgrades the Gallery. WooCommerce – Add an online shop on your website using this plugin! WordPress Importer – Easily import a website onto another computer. 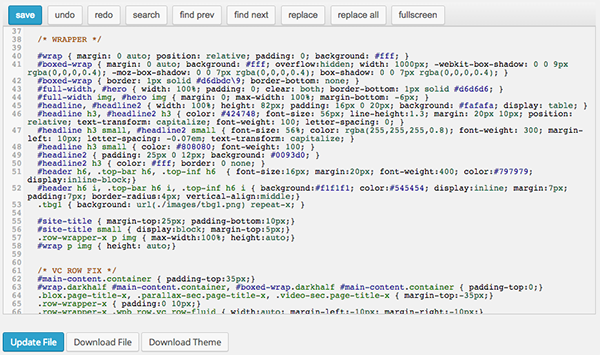 WordPress comes with a variety of themes to use to make your website stand out from the crowd. Many developers also make these, so there are tens of thousands of different looks to choose from online. Places such as theme garden offer such themes for a modest fee. As previously discussed, Responsive Web Design is an important aspect of development today, and it takes full advantage of this. Read more about Responsive Web Design. From 2003 onwards, WordPress began to become a household name among developers. It’s streamlined interface coupled with ease of use and open source. This made it a fantastic tool for customers and developers alike. Businesses flocked to the platform in order to make their own applications to share with the world. Nowadays, WordPress offers not only a great blogging platform, but the essentials in website building. From news articles to high profile businesses, to hobbyists and online shopping, this constantly evolving CMS system can really serve the needs of almost any client. WordPress is constantly evolving as the internet does, which is very important. WordPress is a powerful CMS, and easy to use, website tool that everyone should consider as their base for websites!